This gasket is an OEM-style replacement for the valve cover on your 1999 - 2003 Ford 7.3L Powerstroke. 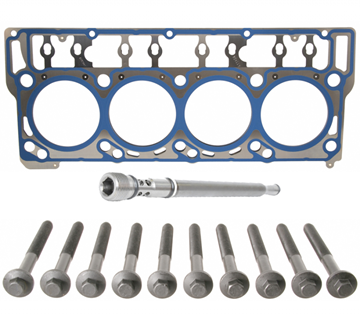 A completely rebuilt and resurfaced cylinder head for your 2008 - 2010 Ford 6.4L Powerstroke. Pressure tested for leaks. A $500.00 Refundable Core Charge Will Apply. 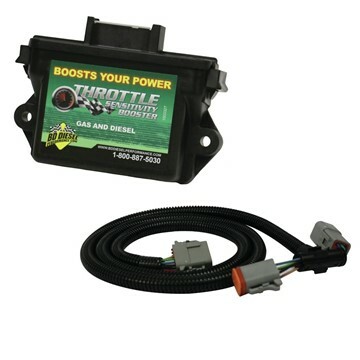 Warm up the engine in your 2003-2004 Dodge 5.9L Cummins diesel faster on cold mornings with BD Diesel's High Idle Kit. Quick and easy install, the High Idle switch mounts on the dashboard and plugs in under the dash. 1998.5-2003 Dodge 5.9L Cummins MANUAL TRANS ONLY - By reducing pedal lag, the Throttle Sensitivity Booster forces your performance curve to occur sooner, achieving quicker engine response and a "fly back in your seat" feeling. Need a short block for your 1994-1998 12V Dodge 5.9L Cummins and want the best quality-made one on the market today? 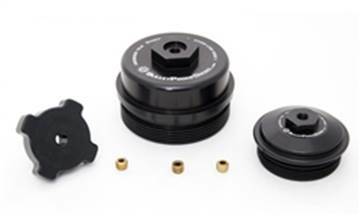 Trust DFC's remanufactured short block for piece of mind. Ready on their shelves, ready to ship, and comes with an unbeatable 5-year/160,000km warranty throughout North America. A $1500 core charge applies. 1995 - 2003 Ford 7.3L Powerstroke F250-550 - 8 required for full engine. Replacement glow plug harness (right hand side). Fits 2003-2007 Ford Powerstroke 6.0L F-Series Pickups and 2003-2010 Ford Powerstroke 6.0L E-Series Vans. 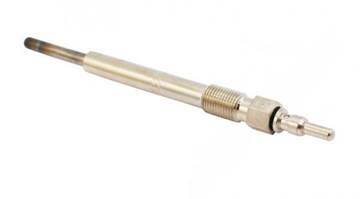 A set of 2 high pressure oil stand pipes and dummy plugs for your 2004 - 2007 Ford 6.0L Powerstroke. Updated with new PTFE washers. If your up-pipes are cracked, you're going to hear it. 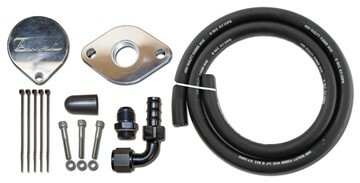 Replace your worn-out up-pipes with XDP's Bellowed Up-Pipe kit for your 1999.5-2003 Ford 7.3L Powerstroke truck. 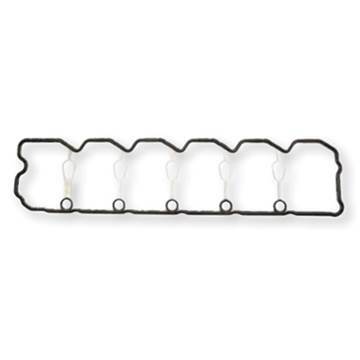 Replacement valve cover gasket for your 1998½ - 2002 Dodge Cummins 5.9L 24V w/ VP44. Warm up the engine in your 2007-2019 Dodge 6.7L Cummins pickup or 2014-2019 Dodge 3.0L EcoDiesel faster on cold mornings with BD Diesel's High Idle Kit. 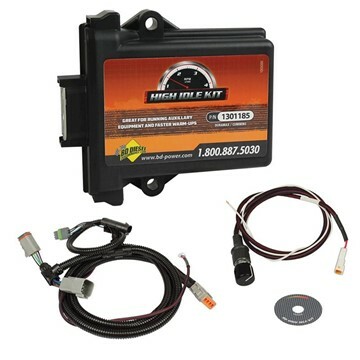 Quick and easy to install, the High Idle switch mounts on the dashboard and plugs in under the dash. 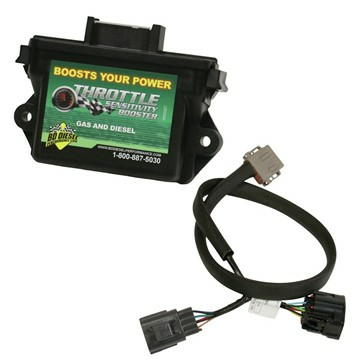 2005-2010 Ford 6.0/6.4L Powerstroke - By reducing pedal lag, the Throttle Sensitivity Booster forces your performance curve to occur sooner, achieving quicker engine response and a "fly back in your seat" feeling.